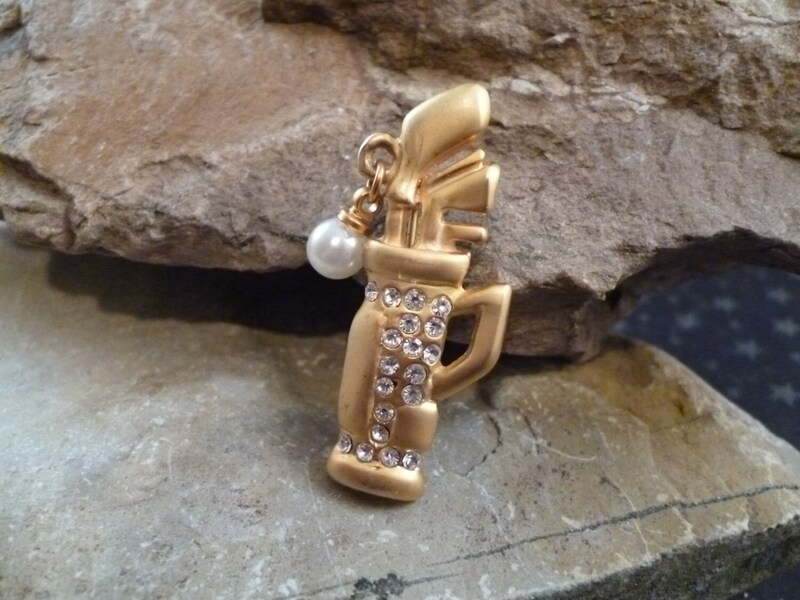 Stylish and fun. 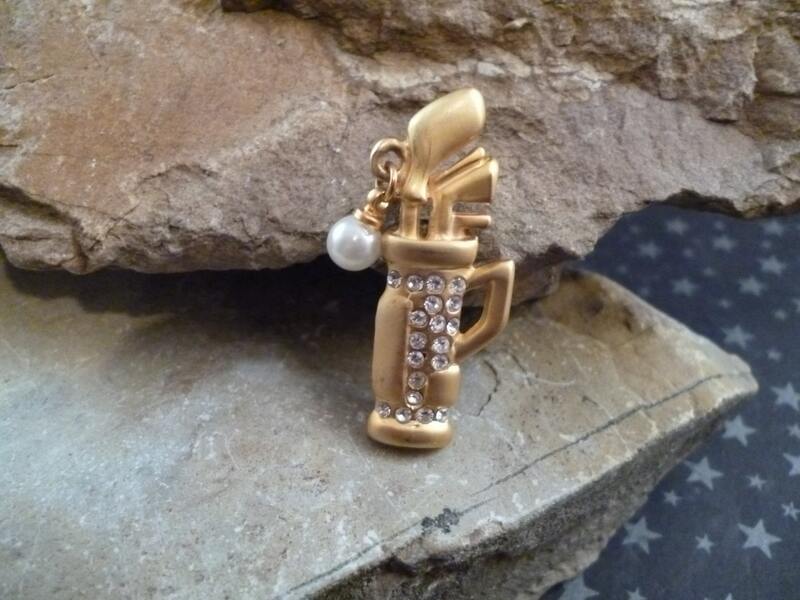 This small 1.5” high gold tone matte finish golf pin is charming with its rhinestone enhanced bag and dangling faux pearl ball. It was something I discovered in a vintage shop in Las Vegas while traveling through. 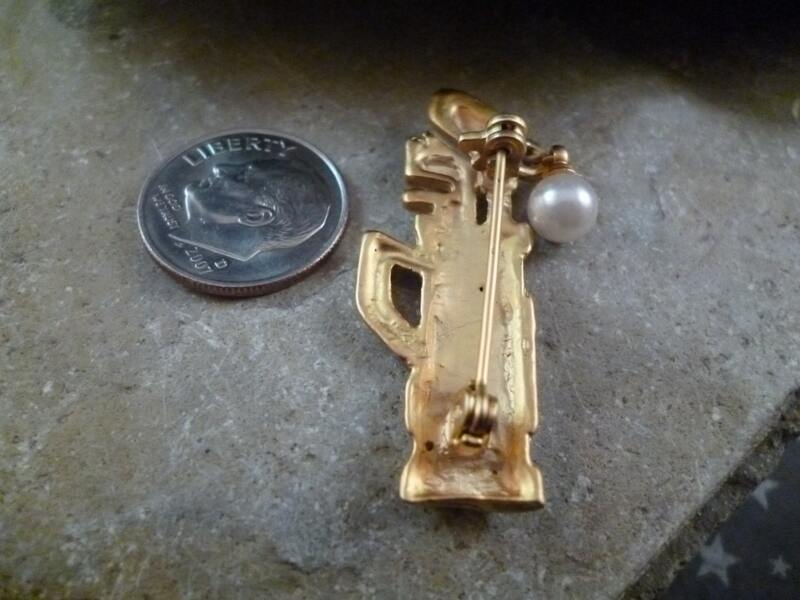 Likely from the l980s, this vintage pin is overall in very good condition. 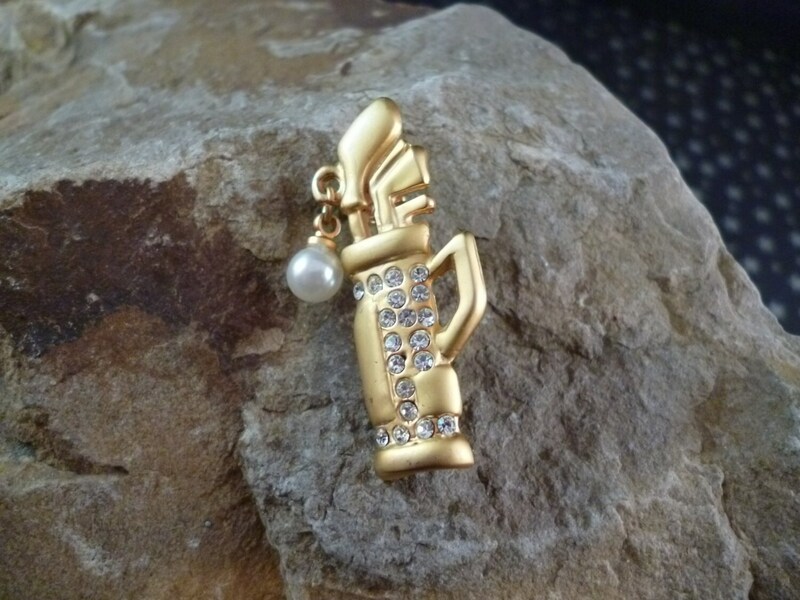 The clear rhinestones are bright and intact; the pin and roll over clasp work well; and the finish in very good condition. 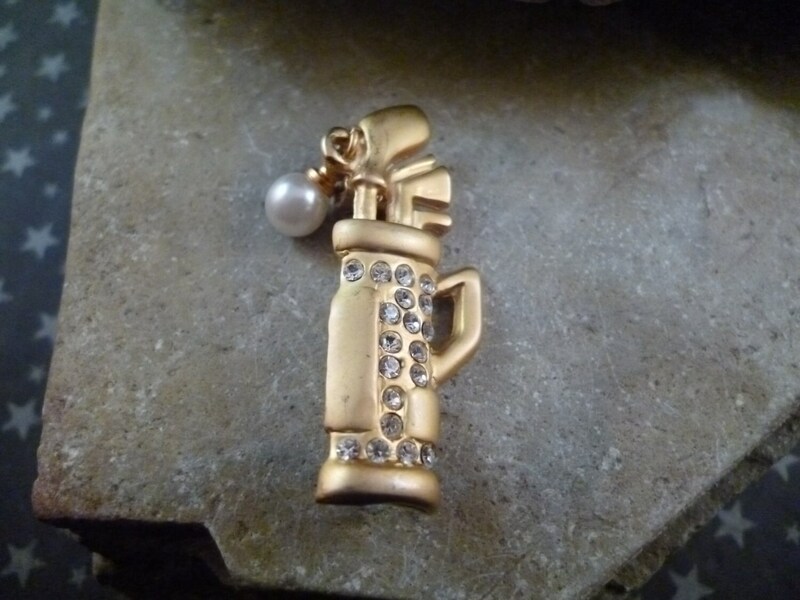 The pictures offer great perspective on this charming vintage golf pin.